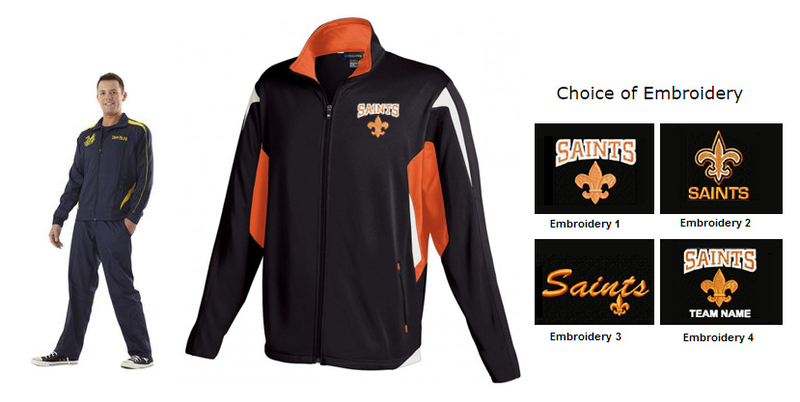 A smooth, lightweight, and sueded polyester knit surface is designed to keep athletes warm and dry. Stretches well for extended range of motion. Front zippered pockets, plus two inside pockets. Encased shockcord at bottom.